The Associated Press reported yesterday that a federal grant designed to pay for SafeSport, the national organization created to combat abuse of athletes, won’t be usable for one of SafeSport’s biggest needs—hiring more investigators to handle incoming reports of abuse. Yet, as the AP noticed in the grant’s paperwork, the $2.2 million from the government grant can’t be used to hire more investigators to lighten that load; the money is earmarked solely for preventative and educational work. And while that’s important work, especially for changing attitudes and behaviors over the longterm, it’s hard to ignore that growing SafeSport caseload and pretend that’s fine. For a while now, SafeSport’s leaders had been telling reporters that this grant money would be key to them improving services. Back in October, Aaron Bauer of Around the Rings asked SafeSport CEO Shellie Pfohl about the possibility of more money from the government. Pfohl’s answer was to speak at length about the grant in positive terms. The grant applications were due in June, months before than interview was published, and the solicitation was posted online well before then—but Pfohl doesn’t bring up these restrictions that she told the AP were noticed by SafeSport when the bid instructions came out. Now that those restrictions are known, Pfohl is doing as she has done when questioned about SafeSport’s funding—insisting everything will be fine. These restrictions fit neatly within a pattern of Congress doing less and less to pay for SafeSport. At one point legislation proposed that Congress give SafeSport $1 million each year. The final version of what passed never mentions SafeSport. Instead, a $2.5 million grant was created, which then got whittled down to $2.2 million spread over three years that can’t be used to pay for more investigators. 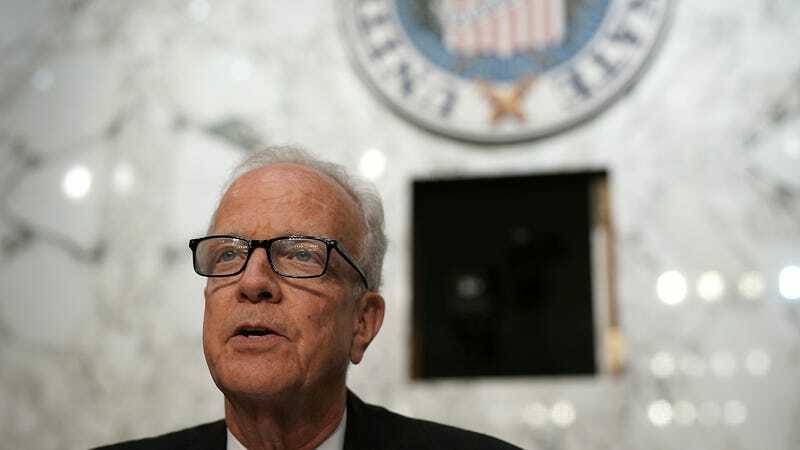 A Senate subcommittee chaired by Sen. Jerry Moran has been holding hearings on athlete abuse, but a spokeswoman for the Republican from Kansas told the AP that she couldn’t explain why the grant was set up that way. Congressional money is key, not only because SafeSport is underfunded, but also because it would be a meaningful step toward erasing the huge conflict of interest created by forcing SafeSport to rely on money from the U.S. Olympic Committee and the national governing bodies of various sports—the very organization whose people SafeSport will be investigating. That SafeSport’s partners also include broadcasters who cover the Olympics isn’t much better. These grant limitations run the risk of causing that conflict of interest to become even deeper because someone has to pay for more investigators, and it sure isn’t going to be Congress. But Congress has no interest in creating a robust and functioning SafeSport. Sure, elected officials like to have fancy hearings. They’re good at playing to the crowd, the cameras, and giving quotes that ooze empathy, anger, and compassion. But quotes only get you so far; it’s actions that matter. And all Congress has done is hold some hearings and given out what, to the federal budget, is a pittance with huge strings attached. Just as the USOC can ignore troubled national governing bodies below it, Congress has chastised the USOC it created without actually doing much to change it. Nobody wants to own up to the nightmare they made, and athletes in need are left waiting.